Police gather outside the private home where a day care center is located in the Queens borough of New York City on Friday, after three babies and two adults were stabbed there. 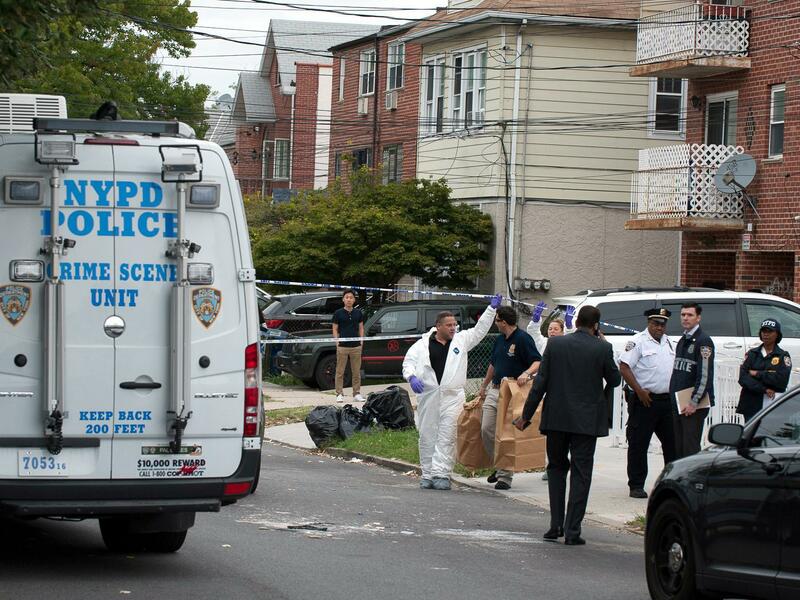 The attack happened shortly before 4 a.m. at a house in the Flushing area of Queens. Nine babies were at the house during the attack, NBC News reports. A meat cleaver and a butcher knife were recovered at the scene, police told the network. A 52-year-old woman who was found with a self-inflicted slash to her left wrist is a suspect and is in police custody. Multiple news outlets reported that she was an employee of the day care.